I'm really excited about all of the young adult science fiction in the works in publishing-land. Like, give-it-to-me-now-yes-right-now-all-of-it!!! excited. When I see YA sci-fi that has that little extra something (be it a new-to-me storyline or a particularly intense set-up), I put the book on my wishlist. Cecil Castellucci’s upcoming sci-fi novel went onto my wishlist as soon as I read the blurb, despite the unprepossessing cover. I'm all about YA fiction that leaves the romance in the weeds when something really important happens. Because that's... life. As I said, can't wait! 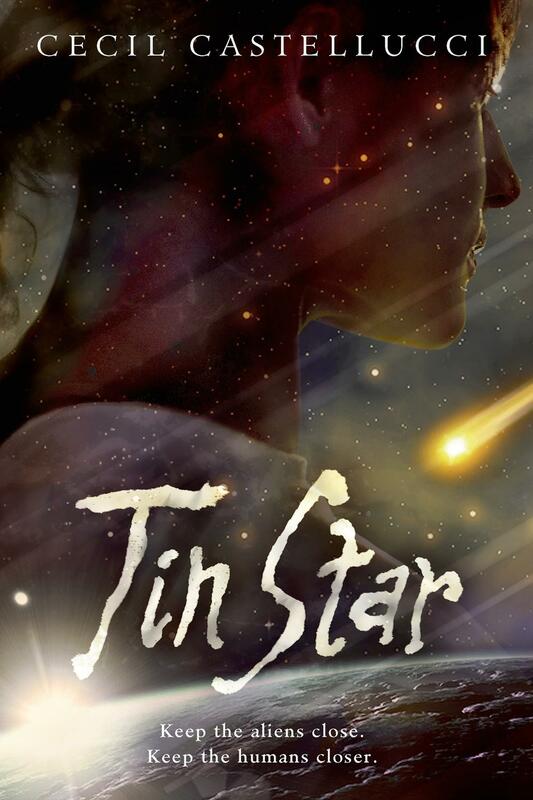 Tin Star releases on February 25, 2014 from Roaring Brook Press (Macmillan). Relying on your wits can only get you so far when you are light years away from Earth. Beaten and left for dead, sixteen-year-old Tula Bane finds herself abandoned on a remote space station with aliens she must work to understand. When three humans crash-land onto the station, Tula’s desire for companionship becomes unavoidable and romantic sparks fly between her and one of the new arrivals. But just as Tula begins to concoct a plan to get off the space station and kill the man responsible for her situation, everything goes awry, and suddenly romance is the furthest thing for her mind. Sounds really cool! Cecil Castelucci is an author I like whose never seemed to have a hit. Oh, this sounds awesome! I enjoyed the Cecil Castelucci's writing, so this one is definitely going on my wish list! Ooooh, I think I'm going to have to read this. And I'm So ExCITED for all the great Sci Fi coming out! Coooooooooool this sounds totally unique.